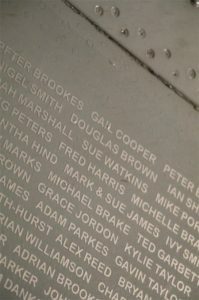 Thousands inscribe a name on commemorative plaques fitted to her wings. In just eight weeks, from a campaign active amongst a supporter base that spreads across the UK and all around the world, there has been a massive desire to mark the anniversary, from those who remain committed to XH558, the latest stage in her life and her future. The completion of the most complex and demanding aircraft restoration project in history, which many said could never be successful, saw Vulcan XH558 make her long-awaited return to the sky on 18th October 2007, over 14 years after her retirement from RAF service. This unique project was only completed because of the dedication of a small team with the vital support of a range of technical partners and thousands of willing donors. 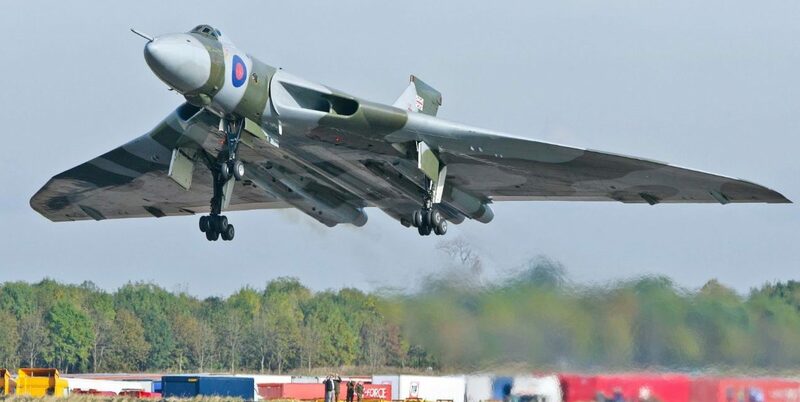 This was the beginning of an eight year period during which XH558 captured the hearts of the British public leading to the phrase ‘the Vulcan Effect’, coined by the media to capture the mesmeric influence and love affair that she enjoyed with so many people throughout Britain during her flying years. It was estimated that she was seen by some 24 million people during that remarkable time. 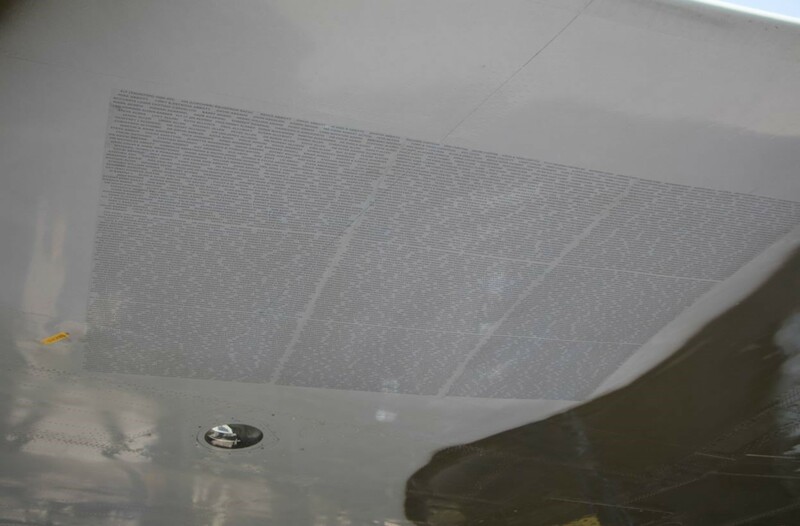 To celebrate this most significant achievement, the 10th Anniversary was commemorated with the unveiling of ’Name under XH558’s Wing’ plaques upon which the public had the opportunity to have their names displayed permanently on the underside of the very wings that lifted XH558 into the air. In addition to revealing the plaques, on the anniversary, the Trust also broadcast a timeline of events from that day in 2007 across their social media channels. This followed the preparation, the take-off and landing in a near real-time context with associated images and videos. A special newsletter including these images was also distributed to over 100,000 people at 2pm to mark the occasion. Those supporting the commemorative plaque also received an email showing the name plaques fitted to the wing, together with a link through to an online listing where they are able to check their entries. 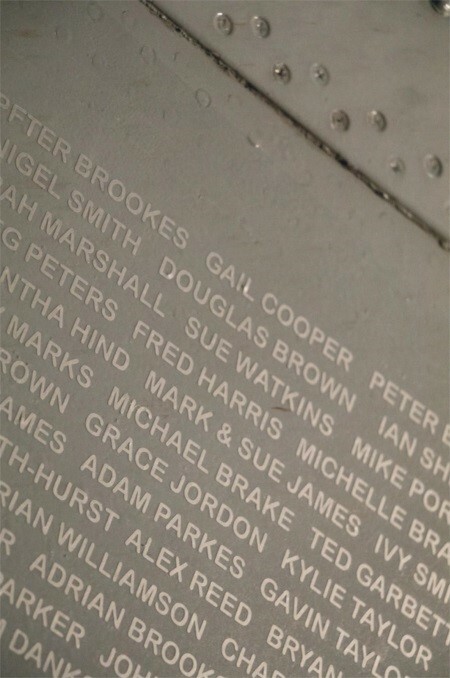 Next week, high-resolution images of the plaques will be available so people can see their names on XH558’s wing for themselves. These names will remain in place in perpetuity, being replaced if the surfaces are painted in future. “I would like to take this opportunity to thank the public for their generous support for this initiative, which is highly gratifying and a great tribute to the positive and enduring effect that XH558 continues to engender. Support for this plaque has made a very important contribution to the work VTST needs to undertake to secure XH558 and other heritage aircraft. Earlier this month, the Trust applied for planning permission to build a purpose-built hangar facility. With discussions ongoing with a consortium of potential investors, it is hoped the Trust can build a brighter future for heritage aircraft preservation, restoration and operation. When XH558 is in her new hangar home, those who put their name to the plaque and the general public will be able to visit the aircraft and see them in place, together with other inspirational engineering displays and aeronautical exhibits from the Cold War era taken from the Trust’s huge archive. PreviousAIRSHOW NEWS: AeroSuperBatics Wingwalking team offer unique sponsorship opportunity and seek new recruits!